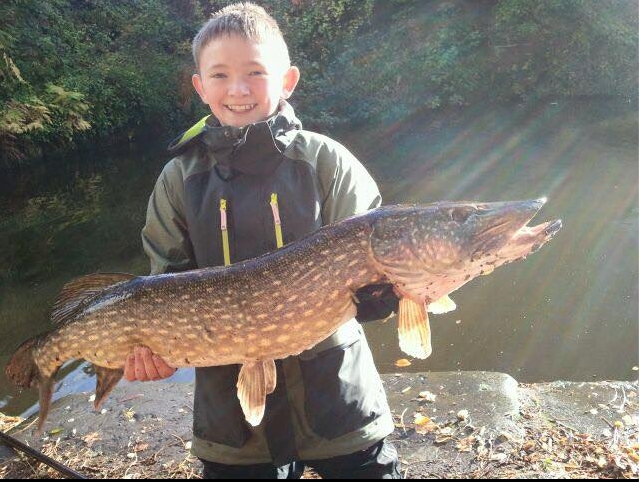 Not only did young Kaden manage to capture this magnificent 22lb pike from a canal in the City Centre of Manchester, he went out a week later and caught another slightly bigger but less photogenic fish from a different part of the same canal. 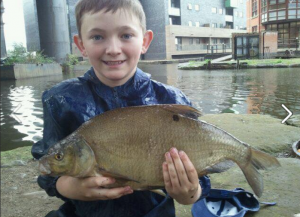 Add bream from the Castlefield Basin, and some great carp from Moss Farm Fishery into the mix then you end up with a very deserving young winner, who has been out in all weathers catching fish that would make any senior member proud to catch. So Kaden was invited to our recent Christmas meeting where instead of receiving the usual bottle of Cognac for winning, we presented our young winner with a Spro Drop Shooting rod and reel. 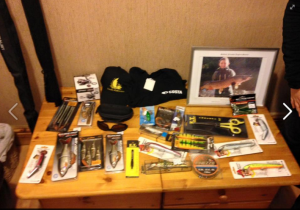 Presented by local angling legend Ant Glascoe Jnr – predator fisherman extraordinaire – who generously brought along a goodie bag of items from his own personal stash of gear. 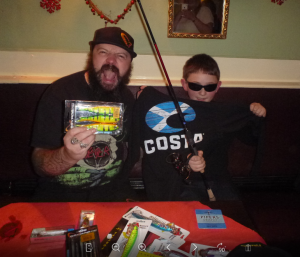 Top of the range Costa Sunglasses, loads of the latest Savage Gear lures – our young champ was highly delighted with his haul of goodies on the evening. Maybe best of all, Ant Glascoe Jnr has promised to take him out fishing on a couple of local venues next Spring. 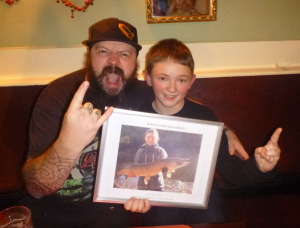 We done Kaden McCarthy – fish of the year winner 2015 !! 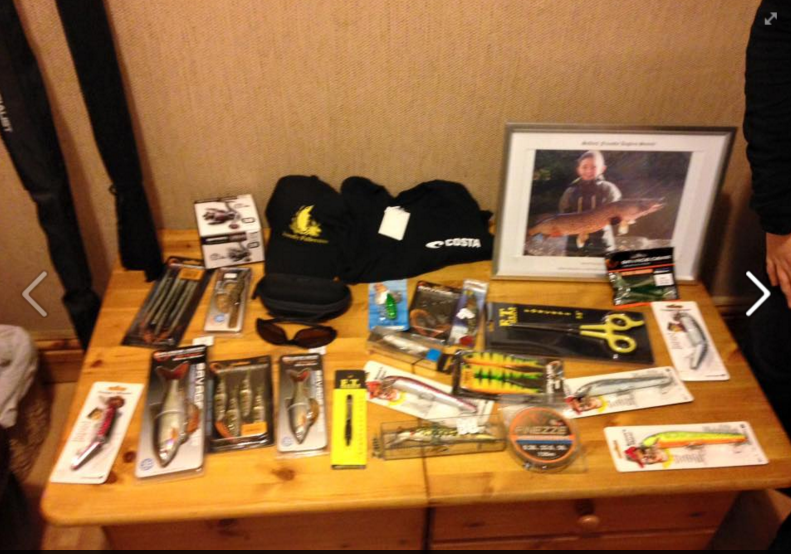 The to cap off a fine night for the young man, he won first prize in our raffle, a new 12ft barbel rod……. this fella has luck and skill, a great combination. 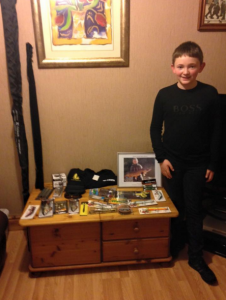 Kaden – back home with his prizes.